20 inch: Minimum inseam required is 27 inches. 24 inch: Minimum inseam required is 31 inches. #1240 Club Unicycle 20 inch $125.00 ea. 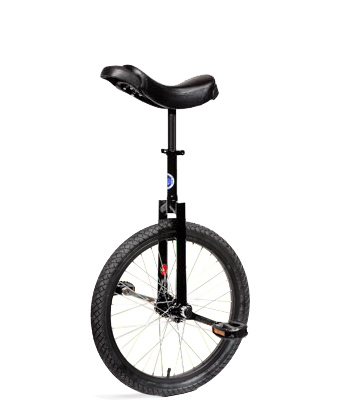 #1241 Club Unicycle 24 inch $135.00 ea.